What started as a small competition, originally called the National Competition of Collegiate A Cappella in 1996, by none other than Deke Sharon and Brown Derbies alum Adam Farb, has now become an international affair attracting hundreds of groups each year, even expanding to two addition competitions - the ICHSA for high school groups in 2005 and the AcaOpen for all groups in 2017. With the addition of the UK region and also with competitions in Canada, the NCCA became the ICCA. Don Gooding and Varsity Vocals took over the event in 1999 and sold it to Amanda Newman in 2008, who continues to act in the Executive Director role today. Now with a team of 23 people plus countless volunteers and support staff, the event has grown to support nine regions with over 50 shows each year. This competition was the basis for the book Pitch Perfect: The Quest for Collegiate A Cappella Glory published by Mickey Rapkin in 2008, which later inspired the Pitch Perfect trilogy. The ICCA was also the main focus in the reality TV series Sing It On, which aired on Pop TV in 2015 and 2016. 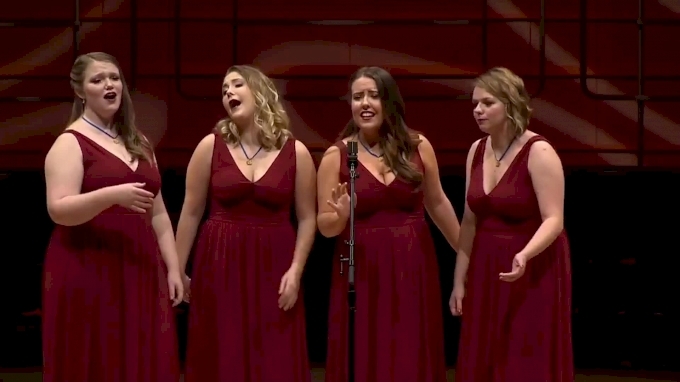 While thousands of groups have competed over the years, there have been several standouts, including the five-time International Champion The SoCal Vocals of University of Southern California - who have won it all every year they've competed in Finals. The Nor'Easters of Northeastern University and Pitch Slapped of Berklee College have both won the International Final twice. Sara Bareilles - This much-beloved singer-songwriter may have had her first radio hit with "Love Song," but "Gravity" was her first award-winning song. Her group Awaken A Cappella at University of Southern California first recorded it for their album Dysfunctional Family and selected for the Best of Collegiate A Cappella 2004 - a compilation curated by Varsity Vocals. John Legend - Known in his college days as John Stephens, this larger-than-life EGOT star sang with the Counterparts at University of Pennsylvania. Their cover of the song "One of Us" featuring Legend on the solo was featured on Best of Collegiate A Cappella 1998. His performance of the song during the 1997 tournament also garnered him "Best Solo." We've also seen several other former ICCA competitors with some time in the spotlight - including Amy Whitcomb (BYU Noteworthy), Anoop Desai (UNC Clef Hangers), Ben Bram (The SoCal Vocals), Hannah Juliano (Pitch Slapped), India Carney (ScatterTones), Ingrid Andress (Pitch Slapped), Kelley Jakle (The SoCal Vocals), Kenton Chen (The SoCal Vocals), Mario Jose (Pitch Slapped),and RJ Woessner (Pitch Slapped) to name a few. Jej Vinson, member of the 2018 International Champions, The SoCal Vocals, is currently competing on The Voice. We're certainly expecting this list to keep growing. Will the next star be performing at this year's finals? Tune in to watch LIVE only on FloVoice on Saturday, April 27.